SI.com's Rob Mahoney looks at the top 15 ballhandlers to hit free agency this summer. NBA free agency is a tangled mess of 30 teams and dozens of players deciding and pricing out their many, complicated interests. With the annual whirlwind period set to tip off July 1, SI.com is ranking the top 15 free agents in each of three modernized positional categories: ballhandlers, wings, and bigs. 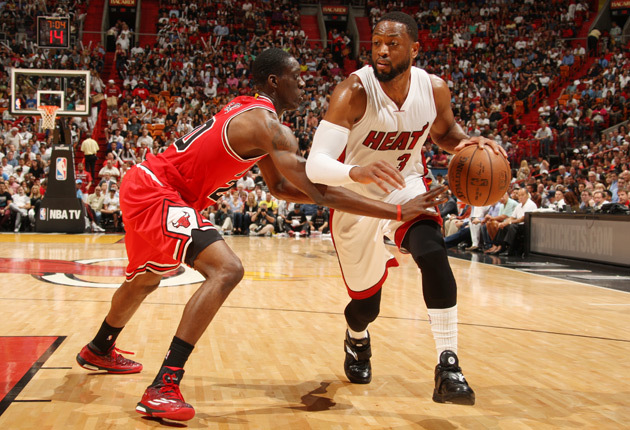 Some corners of public opinion would suggest that Wade's career is dead and buried. In truth, he remains a clear star—if one whose injury history demands caution. Pace him and prosper. Wade remains an outstanding shot creator, both in his poised execution of the pick-and-roll and incredible cleverness in the one-on-one game. All he needs is the patience of a team that understands the wear on his body and a roster equipped to help him deal with his adjusted reality. Any team in the league could feel comfortable entrusting its offense to Dragic. He's not exclusively a run-and-gun guard; Dragic's game would work well in any pick-and-roll-driven system, particularly those with multiple ballhandlers equipped to run such sequences on succession. Miami, which surrendered two first-round picks to acquire Dragic at the trade deadline, is reportedly pushing hard to ink the 29-year-old to a long-term deal. The Heat's need to re-sign Dragic could play out to the benefit of both parties; for as impressive a player as Dragic has turned out to be, he's now of such an age and hedged by such incredible depth at his position that his market could well be limited. When left to his own devices in Milwaukee (and later Phoenix), Knight turned in 17 points a game or better on respectable shooting percentages in consecutive seasons. For that kind of production he'll be paid handsomely, and could earn $70 million over five years playing in Phoenix, according to a report. Knight's individual offensive success for the Bucks often came in spite of the lineups he participated in and the team's simplistic system. He made the most of broken possessions and challenging circumstances to make a case for All-Stardom—not a bad few years' work for a 23-year-old. His place in the league has yet to be fully defined. As it stands, Knight is a developing talent worthy of investment and attention, improving year over year in his ability to read the floor. Whether he could ever be the chief operator of a contending-caliber offense is an open question. It doesn't bode terribly well that the Bucks, despite a clear deficit in shot creation, actually scored more efficiently last season without Knight in the game. There is no easy formula to his valuation. How much is too much for a good, young point guard who might never be great? In some ways, Ellis' years in Dallas reinforced both his particular value as a dribble-drive motor and the kinks in his playing as part of a team. Flanking him with shooting and roll men can result in high efficiency, as was demonstrated by the Mavericks' off-the-charts offense prior to their midseason shakeup. Even still, Ellis can't seem to help but give up points in almost equal measure. His defense off the ball could be best described as oblivious—seemingly lacking in even the base awareness of how a play is developing and where a screen might be coming from. Life on the ball isn't much better; although Ellis is theoretically quick enough to keep pace with most guards, his immediate instincts too often pull him a half-step out of position. It's tough enough to properly form a team around a ball-dominant shooting guard who doesn't always pass as much as he should. Building around one who so often causes problems in coverage might well be prohibitive. There's a lot to like about Reggie Jackson. His progression through his first four NBA seasons has been heartening in terms of his prospects as a long-term starter. Most every opportunity for Jackson to play significant minutes has translated to impressive production, culminating with the 19.7 points and 10.3 assists he averaged per 36 minutes after being traded to Detroit last season. That cannot and should not be ignored. All the same, there's fair reason to wonder whether Jackson will ever be able to make a case as a top-10 player at his position in the near future. The swell of quality point guards around the league has somewhat devalued the position's middle class; it's easy enough to find a good lead guard that it only makes sense to pay big money for those with some chance to be great. Jackson has that, albeit qualified by inconsistent defense, discouraging long-range shooting, and limited run as a high-responsibility ballhandler. 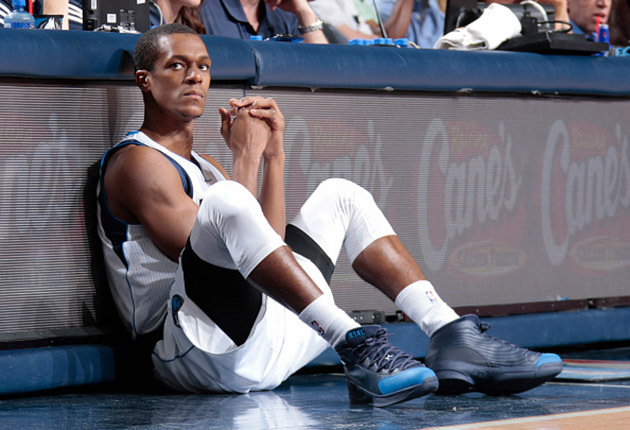 The Rondo we once knew is long gone. In his place is a player equally brilliant in the game's geometry but far more challenging as a teammate and building block. Any team that signs Rondo with the expectation of stardom is putting remarkably little stock in his last three seasons, and in some sense, in the broader trends of his career. Those players who don't project as any kind of scoring threat whatsoever are slowly being filtered from meaningful roles in the NBA. Rondo effectively costs his team with his every hesitation—that natural hitch in his game that has only exaggerated with injury and trouble finishing at the basket. His defense must be coaxed out of him and brought to some kind of discipline, lest he make obnoxious gambles or coast by without effort. These, mind you, are his supposed strengths. Nothing Rondo does at this point in his career comes without some offsetting concern, including the way his stubbornness manifests in his dealings with teammates and coaches. Proceed at your own risk. One of the most unheralded prospects on the board, Joseph is something of a George Hill prototype. He plays long and pesky on defense in a way that makes him positionally flexible—a perfect counterpoint to an offense-first off-guard. That Joseph is relatively untested as a primary ballhandler makes him altogether well-suited for a backcourt built on balanced responsibility. If provided that, Joseph has the sense of how to move without the ball and developing three-point game to be a nice complementary piece. That his usage takes a little more imagination than some of the more straightforward players on this list shouldn't discourage some team from making a play in free agency in the hopes that the Spurs might not be in a position to match. Beverley's greatest strength as a player—his persistence as an on-ball defender—jumps off the screen. Few in the league are so consistently irritating; no opposing ballhandler much enjoys a night of Beverley's bumping and prodding, some of which plays out as borderline recklessness. So long as Beverley continues to play in that way, he'll have value as a disruptive influence at the point of attack. Should that ever fade with age or injury, however, Beverley's utility would be severely compromised. No matter what kind of role he is intended for, Williams will not be running an offense. Doing so would run contrary to his very programming—that messaging that fires through every one of his cells and demands that he score. Getting buckets is his biological imperative. He shoots, he manipulates defenders with pump fakes, and he puts up scoring totals deserving of his career's specialization. Williams can be a fine basketball player for any team that understands what it's getting itself into and tempers expectations accordingly. While Tim Duncan stands defiant to the ravages of time, Ginobili is the subject of a steady, evident decline. A long, brilliant career is nearing its end. These days, Ginobili is less a complementary star and more a role player with the ability to imbue possessions with the potential for high reward. The risks Ginobili takes in doing so might give Gregg Popovich migraines, though you take what you can get from Manu's limited minutes for the fact that so few reserve playmakers can make the plays that he does. Stuckey is coming off of a nice season in which he fulfilled just what he was brought to Indiana to do: Provide a defensive-minded team with a shot of instant offense. Paul George's off-season injury had stretched the Pacers' need for shot creators to a potentially fatal degree. Stuckey, in conjunction with the adjusted roles of his teammates, helped to work Indiana's offense toward respectability. He did so for the minimum salary as a means to audition. Now teams around the league have seen what Stuckey can offer to the Pacers or any other team of similar station, and the market will undoubtedly see him paid accordingly. Williams seems like the default option for a team not quite willing to invest in a higher-value free agent guard or wanting to deal with the complications of restricted free agency. His last two free agent deals have been quite modest: A two-year, $5.6 million deal with a second-year option that Williams ultimately declined, followed by a $3.8 million deal last season with the Timberwolves. Should the market read similarly, Williams could be a fair borderline starter for a team without the means for better options. Consider him, with his firebug offense and lacking defense, a filler candidate for teams looking to spend big elsewhere in free agency. 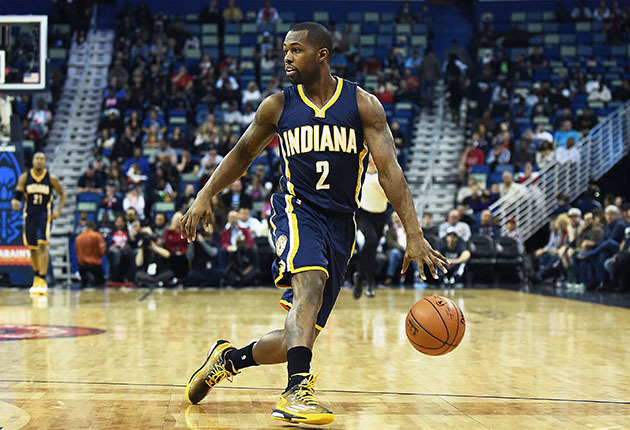 Because of your interest in Mo Williams, may we also suggest Aaron Brooks—a comparable player in many respects. Brooks naturally leans toward an active role in creating his own offense for the simple reason that he isn't all that skilled in generating shots for others. That makes him ideal (as the Bulls found last season) for a low-cost role as a bench scorer, though not so ideal (as his teams found in his previous five stops) as to ensure that he stick around. Among those getting regular minutes, Calathes ranks among the least effective offensive players in the league. That he still warrants a place on this list is a testament to what he gives a team defensively. Calathes should be athletically overmatched on most nights but isn't; his 6'6" standing and long reach often buy him the half-second he needs to close the gap or wall off a lane to the basket. Whether or not his defense-only game is tenable—and by extension, whether he has much free agent appeal—depends almost entirely on the circumstances of the roster. Stripped of the glow and baggage of Linsanity, Jeremy Lin has leveled out as a usable NBA backup. He defaults as a driver but runs into problems with his reads of a layered team defense. Even on those nights when Lin is able to consistently beat his man off the dribble, he is too often caught unaware by standard, incoming help defense. He's relatively effective, still. Lin just doesn't see the floor well enough to project as a higher-level prospect, particularly at 26 years old with four years of significant NBA experience already behind him. Best of the rest: Austin Rivers, Andre Miller, Alexey Shved (R), Norris Cole (restricted), Kirk Hinrich (player option), Jason Terry, J.J. Barea, Matthew Dellavedova (restricted), Leandro Barbosa, Ish Smith.